What is a Mortgage Banker (Commercial) Bond in Arizona? A Mortgage Banker (Commercial) Bond is a type of license bond. The purpose of the bond is to protect the state or governmental entity for certain things, such as the payment of taxes. How Much does a Mortgage Banker (Commercial) Bond Cost in Arizona? How do I get a Mortgage Banker (Commercial) Bond? We make it easy to get a Mortgage Banker (Commercial) Bond in Arizona. Fill out the form above and we’ll get right on this for you. Then we’ll get the Mortgage Banker (Commercial) Bond right out to you. Easy. In order to legally operate a business, it’s typically required to file license bonds and permit bonds. These bonds are essential to help the government prove that all businesses within their area abide by the general rule that governs business processes. Because of this, it is essential to get these bonds whenever a professional or any company or corporation decides to begin its operation. With these bonds, the government are guaranteed that all laws and regulations governing that certain profession or business are closely followed. These bonds also make it less difficult for the government to recognize any professional or business who failed to abide by the governing rules. This is why it is essential for any company or professional to obtain these bonds. If you’d like to know the way to get a permit bond, here is a helpful guide for you. The following conversation explains about the essential facts that relate to license and permit bonds. The type of bond that you are going to need is dependent upon the type of business operation that you’ve got. This section describes other types of surety bonds that you may enjoy and their purposes. The license and permit surety bond is the most typical type of surety bond. But, before you get this bond, you need to understand first the local laws and regulations that cover the engagement of professional services in Kansas, for example. Remember that you will only be given a license to operate in a specific location if your business is proven legal and compliant with the existing laws of the government. In addition, you need to keep in mind that your clientele can directly report to the government regarding the methods of your business. Should you fail to act as specified by the government, the customer will sue your bond. Due to your non-compliance, your customer will then be compensated. You, however, will suffer the consequences of breaking the law. Several kinds of bonds are under this particular type of bond. One good example is the contractor license bond. Another example is the performance bonds. A performance bond is a terrific kind of insurance for the customer that chooses to hire a specialist for a certain task, for example, construction. This insures the quality of the project because the contractor is instructed to meet all the demands of the project stated in the contract. The contractors must not fail to stick to the governing rules to avoid serious issues concerning the laws that cover this specific kind of business processes. If the contractor fails, the bond will act, as insurance and the client will get a settlement of that amount. Because of the contractor’s non-compliant, the customer will also get a replacement contractor. Now that you have learned why you need to get a license and permit bond, the next thing you should learn is the importance of securing your business with these bonds. The government requires that professionals follow a particular system while doing their things. License bonds allow define the systematic flow of processes, for instance in construction. The contractor who is involved to this operation must then follow this system. Luckily, the permit bonds care for the clients of specialists. It implies that the customer can be reimbursed for a certain percentage of the project should it fail. If a professional fails to provide what he or she promises, you have to sue his or her bond and you’ll get settlement totaling to the bond’s specifications. Following the right procedures in acquiring license and permit bond is the easiest method to obtain it. The following are the easy steps that you must follow when applying for license and permit bond. If you are applying online, the first thing you should do is to fill out the form. You could find this online application form through an approved issuing company that’s highly recommended by many users. Before you decide to can submit the application online, there will be a prompt asking you to verify the info you filled in each fields required. Be honest when filling out the form for it may result in serious predicament if you do not. After you have submitted the application form, you’ll then get a quote stating the amount related to the surety bond you’re applying. Therefore, the amount you must pay money for the bond is already presented in the quote. The quote only comes after you apply and your application is successful. After acquiring a quote, the next step can be the actual payment. Your payment permits you to get the license and permit bond. Do not lie in the form. It is because doing so will only result in problems, for example legal action. 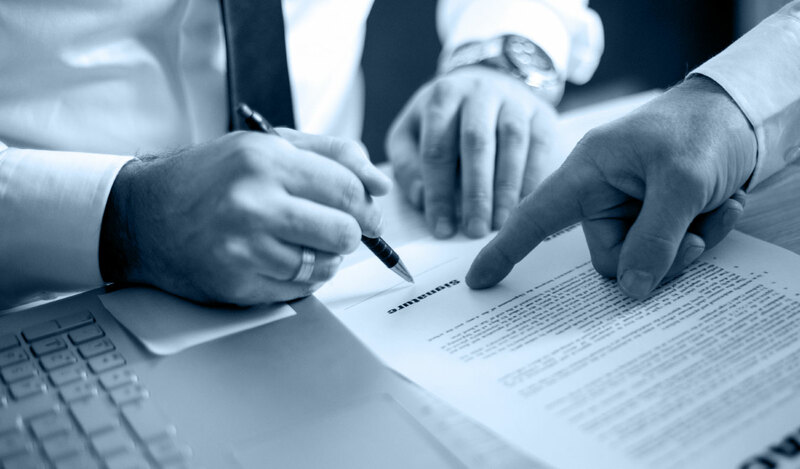 Know that surety bond is governed by laws and regulations. So even if you do not have a fantastic credit score, it’s still essential that you provide the correct data to your surety bond. In addition to the different types of surety bonds, and its advantages, there are other essential facts you must learn about license and permit bonds. One essential fact you must find out about surety bonds is its purpose, which is to protect customers and to enable them to recover specific amounts of the whole project cost. For instance, the government might require that you buy a license and permit bond worth $500,000. In this case, only a relative portion of the whole project cost is insured with the performance bond. Frequently, the amount that a contractor needs to pay money for a performance bond is just about 1% of its insured value. Another purpose of license and permit bonds is the security it provides to customers that the contractor will perform. You, as the business, should serve your customers right and your bond will act as a shield if you fail to do the same. It is required to know all the regulations and rules of the government with regards to providing professional and construction services. One of these is the need for a license and permit bond, which is required to be sure that you gain your clients’ trust and confidence for the products and services that you offer. See our Arizona Mortgage Broker Bond page here.